The Cape Town Bicycle Map was developed to encourage more people to ride a bicycle for more reasons: for practical reasons, not only for sport. We believe that going by bike is one of ways in which we’ll get the streets we want: safe, shared and liveable. 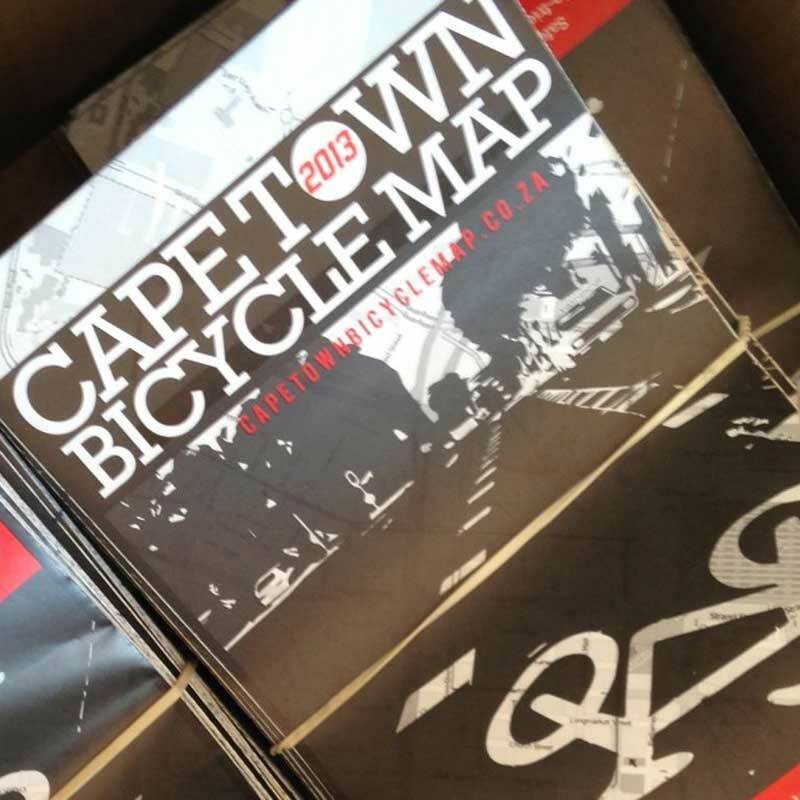 In 2011 I launched this first ever utility cycling map of Cape Town, which identified a network of safer, connected routes, located bicycle infrastructure, parking and bicycle-friendly venues, and included information about bicycles on public transport, and cyclists’ rights, responsibilities and signage. The rideyourcity team validated data through site visits, and the Cape Town Bicycle Map therefore only included current bicycle facilities. Once proposed bicycle infrastructure is installed, these were included on the map updates. 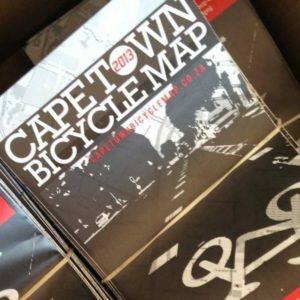 In 2013 we produced a further print edition, as well as a Winelands Bicycle Map. With the assistance of ESRI South Africa, we launched an online / mobile version of the map in 2013.